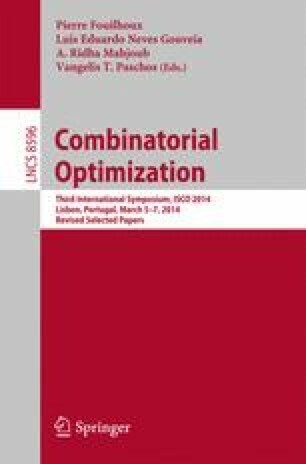 We address robust versions of combinatorial optimization problems, focusing on the uncorrelated ellipsoidal uncertainty case, which corresponds to so-called mean-variance optimization. We present a branch and bound-algorithm for such problems that uses lower bounds obtained from Lagrangean decomposition. This approach allows to separate the uncertainty aspect in the objective function from the combinatorial structure of the feasible set. We devise a combinatorial algorithm for solving the unrestricted binary subproblem efficiently, while the underlying combinatorial optimization problem can be addressed by any black box-solver. An experimental evaluation shows that our approach clearly outperforms other methods for mean-variance optimization when applied to robust shortest path problems and to risk-averse capital budgeting problems arising in portfolio optimization. The first author has been supported by the German Research Foundation (DFG) under grant BU 2313/2. The third author has been supported by the German Federal Ministry of Economics and Technology within the 6th Energy Research Programme.